Located in a lovely four-story building that is conveniently situated on Vineyard Avenue, just South of the 10 Freeway, these Ontario, CA office suites know a thing or two about convenience! 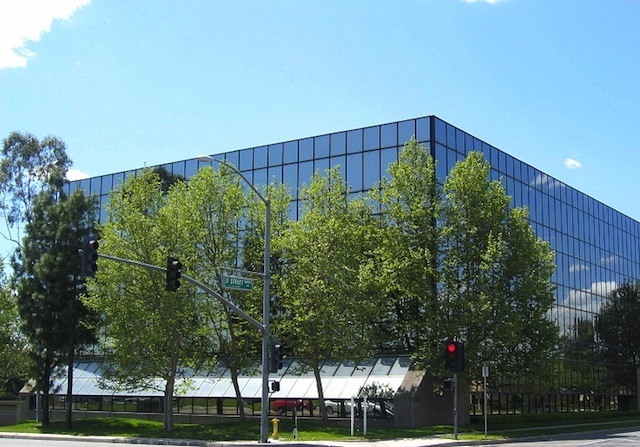 Only minutes away from the Ontario International Airport, these fabulous executive offices are located within easy walking distance of several restaurants and hotels and are also within a short driving distance to The Ontario Mills and Victorian Gardens shopping centers. Only minutes away from the MetroLink station located on Haven and the 60 Freeway, this location is all about convenience! Located in San Bernardino County, just 35 miles east of Los Angeles, Ontario is widely considered as the inland region's population and job growth center. With growing logistics and high technology sectors, Ontario is quickly becoming Southern California's Next Urban Center- with high quality office development, urban housing and lifestyle amenities that are attracting large professional firms and corporate headquarters. Ontario offers an exceptional pro-business environment with a highly skilled labor force, lifestyle amenities, reasonable lease rates, and modern workspaces with the technical amenities necessary to compete in a global economy. The convenience of LA/Ontario International Airport (LA/ONT), superior transportation and access to local, regional, national and global markets makes Ontario the perfect Southern California location. Toyota North America, Cardinal Health, Nordstrom, AEG and Uline are just a few examples who have invested their business and their future in Ontario. If you are looking for a premier location to "set up shop" in Ontario, CA, let ABCN handle all of your office space needs for you. From start to finish, ABCN is here to help! To speak with a representative about office space availability in Ontario, give us a call at 1(800) 869-9595.